Battery powered wheelchairs have become a great tool to aid people with disabilities. George Klein invented the power wheelchair to assist WW II veterans who were unable to use manual wheel chairs. Today, however, it has become the vehicle of choice for those with limited mobility. The reason is that moving manual wheelchairs require much effort and time. It can easily fatigue a person especially when traveling long distances. Power wheelchairs require minimum effort. The person can cover much greater distance and terrain when traveling in a power wheelchair. 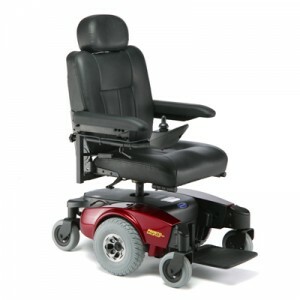 Power wheelchairs no doubt offer great convenience and ease to the disabled person. However, one slight drawback is that they are dependent on batteries. If the battery loses its charge, the person may not be able to move further. This is a frightening prospect for any disabled person, especially when the person is traveling alone and is far from home. It is therefore important that the powered vehicle be fueled with a good battery. Wheelchair batteries range from 12 to 80 ampere-hour power rating. In case the wheelchair is powered by small model of the battery, consider installing a pair of power batteries to ensure that it lasts for the whole day. Some batteries are more efficient in powering electric wheelchairs than others. Most often, power wheel chairs run on Lead Acid batteries. Wet cell Lead Acid batteries are cheaper and usually have larger capacity. They allow traveling longer distances on a single charge. However, the problem with wet-cell batteries is that they require leveling up with distilled water every few months. This can prove difficult as the batteries are quite heavy and are not easy to reach. Moreover, if the battery case becomes damaged it may result spill the content of the battery causing chemical burns to the user. Sealed Lead Acid batteries are safer compared to wet cell batteries. They are also known as SLA or Maintenance free batteries. This type of batteries do not require filling with water. There risk of chemical spills or burns is greatly reduced. They are the only kind of wheelchair batteries that are approved for air travel. The SLA batteries for wheelchairs can be divided into two types – AGM and GEL. Generally Gel batteries are more suitable for electric wheelchairs, but are also more expensive. If you want to buy a battery for your wheelchair, then head on over to BatterySharks’s Wheelchair battery section.